If you and your team need to choose a labeling method on your company’s new product or are rebranding current packaging, you should consider shrink sleeve labeling. For those who have never used shrink sleeve labeling before, shrink sleeves offer several great advantages. They can enhance your brand’s impact, incorporating bright, attractive colors and designs over the entire surface of the product and providing more coverage than any other labeling type. Not only that, but unique, eye-catching bottle shapes pose no problem, because shrink sleeve labels work well even on complex container shapes. When introducing a new package design, you’ll need to be absolutely certain the new graphics enhance your product and build your brand. With test runs through a shrink tunnel, using your bottles and labels, you can see exactly how shrink sleeves will appear on the product – and how the new graphics impact the package appearance. This will give you and your team confidence in the decision, as well as with management and the other brand owners. Prototyping in a shrink lab is especially helpful when designing a label for an unusual, or challenging, product shape. Achieving an unblemished appearance of the shrink sleeve can be tricky. While shrink sleeving is ideal for complex shapes, proving it out under production conditions is critical. By testing the shrink sleeve labels on the actual product, you can make sure the package graphics and design work as well as intended. Full body shrink sleeve labels, when extended up over the closure with a perforation, easily provide you with a built-in tamper evident seal. This allows your customers to rest assured that the product was never opened or tampered with in any way before it was purchased. 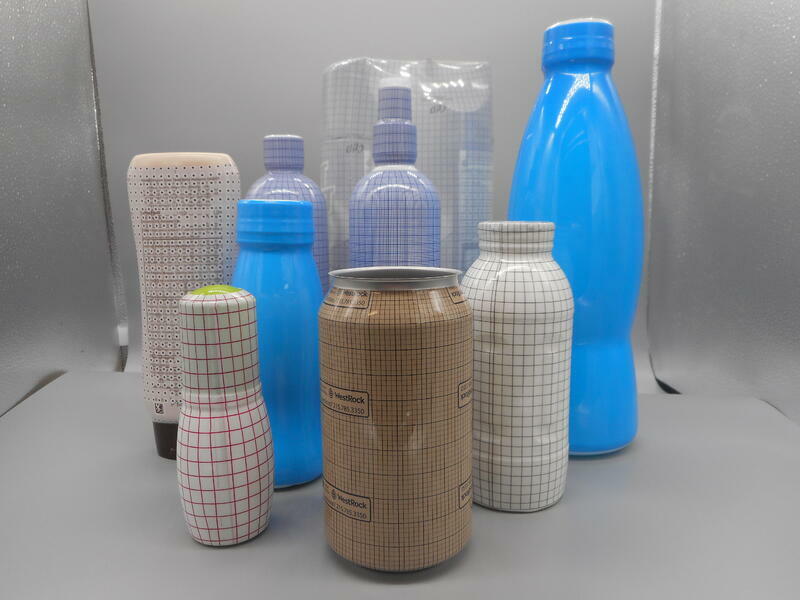 If application of heat shrinkable tamper evident seals is new for your product, testing in a shrink lab will give you the ability to see how these seals will appear on your product – plus, the ability to test various perforation patterns for optimum ease of opening by your customers. Having beautiful graphics on a product means little if you can’t meet market demands and keep production costs low. Conducting test runs of your product through real production tunnels at production speeds will prove that your dream package can actually be produced on line in a practical way. With shrink sleeve labels, each film substrate has specific properties, capabilities, tolerances, and limitations. These must all be taken into consideration when choosing your shrink labeling film, and when establishing dimensions. Testing and proving out the correct material is critical to the successful launch of your product. By prototyping, you can ensure the correct label specifications, dimensions and film substrate selection for your package. Creating the correct specifications for label height and size will determine final appearance of your product. It’s very important to take into account both the container and sleeve tolerances to get the final product the way it is intended to appear. Making these calculations by testing through shrink tunnels is the best way to do this. Finally, having correct sizes insures the sleeve labels can be applied on automatic application machinery, and produce the intended results. At PDC, we offer companies the ability to test their products in our Shrink Lab for free. We’ll help you to determine correct film and label specifications and coordinate with your label vendor to acquire sample sleeves. You will get photos, videos, and samples of your product running through actual tunnels, not a fake “mock up”. This is an important step in making sure the end product turns out just as it was envisioned, and can be produced effectively and seamlessly. Producing beautiful packaging is as much a science as it is an art. When embarking on a shrink sleeve labeling project, testing your product at the start under real-world conditions can be invaluable to the success of your project. At PDC, we have mastered both the science and the art of creating an exceptional package. Our empirical test processes are designed to avoid any oversights and help clients to make the correct shrink sleeving decisions from the start. To discover what’s possible for your labeling project by running a free test of your product and label samples in our Shrink Lab, Click Here.